Home Uncategorized What if Every Beck Album Was an L.A. Neighborhood? After debuting at #3 on the Billboard Charts, Beck’s 13th studio album, Morning Phase, inspired us to reflect on the sonic landscapes he has created during his 20-year career. Then we started to ruminate on the actual landscapes these albums made us think of. So, which album is which neighborhood? 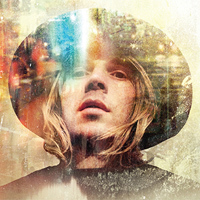 Ponder with us or catch Beck in concert on April 9 in Santa Barbara and then during both weekends of Coachella. An idyllic wonderland of Gen-X slackerdom, Beck’s breakthrough album is masterfully devoid of direction. The video for “Loser” was shot for $300 in locations that ranged from the “grasslands” of Humboldt County to a Santa Monica graveyard. This is the album you queue up on your phone (or pop into your CD player) as you make the long drive into the Southern California desert. Alternative in approach but mainstream in its accessibility, Odelay is like the subtle yet definitive transition from bohemian to yuppie. Probably the most underrated of Beck’s albums, Mutations contains some untouchable gems. Culver City may not be the destination that springs to mind but then you remember that it has decent rent, Vietnamese comfort food, a thriving art scene, and bars. A sleeper but a keeper. “Mixed Bizness,” the album’s second track, is a party anthem about mixing business with pleasure, the historical modus operandi of Hollywood. The song “Hollywood Freaks” seals the deal. By far the saddest of Beck’s albums—it was written in the wake of a break-up—it’s also the work that sounds most like the 1970s. And ’70s Malibu is all about Joan Didion on the bookshelf and Joni Mitchell on the stereo. It’s Play It As It Lays, The Long Goodbye (the Altman version), rich people’s ennui, and the sadness of a perpetual summer. The melancholy folk tunes on Sea Change are best enjoyed during or just after a solo hike in Malibu as the sun is setting, just outside of town but still close to home. “Que’ Onda Guero,” the album’s second track is an absurdist story told from the point of view of a white guy strolling through a Hispanic neighborhood. It’s one vignette in a genre-defying, multi-ethnic collage that visits unfamiliar places and induces a head rush. Discovering a superb birria joint with taxidermy goat heads lining the wall and mariachi bands passing by can have the same effect. This album addresses the conspicuous consumption of media and how that ultimately corrupts behavior and warps our perception of reality. That makes it a good soundtrack as you’re driving past a studio where a profusion of alternate universes are created daily. If Sea Change was a reflexive elegy for a shattered romance, Modern Guilt is a global lament about issues like climate change and pandemic alienation. With songs like “Volcano” and “Gamma Ray” proclaiming his degraded faith in humanity, this is Beck’s darkest album. This is a self-aware album that slyly flaunts its cultural cachet. Beck isn’t breaking new ground (and he knows it); he’s revisiting one of the more critically lauded moments—circa Sea Change—of his career. Finally, Beck sounds like he’s able to relax comfortably, watch a sunrise from a proper vista (“Morning”), and bask in the success of past work. Next articleJoin Us For an Exclusive Taste of Modern Mexican Cuisine!